If at first you don’t succeed, try, try again. This is probably the mantra of premium short-form video ventures. They’re usually unsuccessful, but that may be changing. 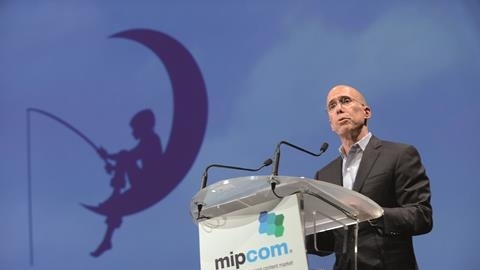 Enter NewTV – the brainchild of ex-Dreamworks Animation and Walt Disney Studios chairman Jeffrey Katzenberg – which recently raised $1bn (£800m) to launch a mobile-friendly content offer in 2019. Short-form premium mobile video’s past is chequered. Usually, once you leave YouTube, the going gets tough. Vessel, the premium short-form start-up that former Hulu boss Jason Kilar led, shuttered in late 2016 after just two years. Verizon then purchased its technology to bolster another ill-fated mobile video venture, Go90, which closed earlier this year after amassing a reported $1.2bn (£1bn) in costs. Verizon will now focus on its mobile network, planning to partner with Google or Apple to offer TV services. Deep pockets alone haven’t been enough to create success. Even solid, traditional media companies have failed: Vivendi’s Studio+, an app for premium scripted content, barely lasted two years despite launching episodic series such Patagonia-set drama Ahi Afuera (Out There) and Brazilian thriller Crime Time, which gained International Emmy Awards nominations. One problem was Studio+ creator Dominique Delport leaving Vivendi for Vice, but it also lacked scale. It had about 5 million customers but only ¤35m (£31m) for original production – not enough to attract enough subscribers. So what’s the magic formula for short-form content – those 10-minute chunks we all believe the younger generation (and, increasingly, some older generations too) want on their phones? Katzenberg claims to have an answer. The industry calls his venture a ‘next generation’ Netflix or HBO, but Katzenberg says it is completely different. NewTV, he says, will be based on a freemium model – something like Spotify, with some content offered free with ads and other parts behind a paywall with “light” advertising. The funding round came from a Who’s Who of big studios, including Disney, 21st Century Fox, Sony, Viacom, Warner Media, Lionsgate, MGM, eOne and ITV. NewTV won’t produce content but will license from the studios, who are now partners. Katzenberg also wants a perfect user experience, one reason why he’s hired former Hewlett-Packard and eBay boss Meg Whitman as chief executive. Sources say Katzenberg wants suppliers to consider Dan Brown’s novel The Da Vinci Code when developing content – it eschewed a traditional 10-chapter structure in favour of as many as 50 fast-paced chapters with a cliffhanger at the end of each of them. NewTV certainly has the deep pockets and partners to innovate for easily bored young audiences, but licensing programming rather than producing and owning originals goes against received wisdom. Just ask Disney, which is holding back content from streamers ahead of its own SVoD launch. Even Viacom has come around to the direct-to-consumer game with Viacom Digital Studios and its recent purchase of digital video studio AwesomenessTV. And what’s to stop Netflix, Hulu or HBO Go competing with NewTV? Viacom is thinking along those lines, and Netflix and Amazon are moving into shorter-form comedy and drama. The studios bet on Katzenberg because who in their right mind would gamble against a man with his creative track record? Plus, for ITV, it’s a creative outlet for ITV Studios’ short-form content. NewTV also fits in with ITV chief executive Carolyn McCall’s strategy that the broadcaster be “more than TV”. That makes the investment both strategic and tactical. For me, NewTV is well-timed: mobile viewing is rising, and younger audiences view most content this way. Plus, the list of backers is full of legacy media firms that have tried to solve the short-form video conundrum. Would I bet on its success?